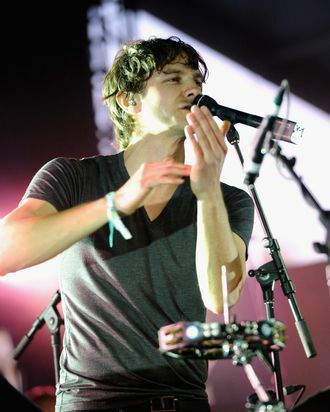 Though “Somebody That I Used to Know” has been kicking around the top ten for several weeks, Australian singer-songwriter and creative speller Gotye had not yet actually clinched the top spot on the Billboard Hot 100. That ends this week. Coasting on the SNL promo wave, with assists from Glee and American Idol, Gotye has finally unseated Fun.’s “We Are Young” at No. 1 on the charts. So, if that song has not already made its way into your favorite television show or the darkest corners of your brain, now is the time! Plinking is the new whistling.